Some great news on the conservation front. Check out this article from HuffPo. Here’s an excerpt below. For more info on sharks and the California bill, have a look at this great website of the organization Oceana, which works to protect the world’s oceans. With a stroke of California Governor Jerry Brown’s pen, the entire U.S. West Coast has now banned the trade of shark fins. California has joined the ranks of a growing number of governments rallying to protect the top predators in the oceans. Washington State, Oregon and Hawaii have all passed similar bans. And the movement here in the U.S. reflects a global trend. The Pacific nation of Palau created a shark sanctuary two years ago, and other countries have followed suit in shark conservation efforts. 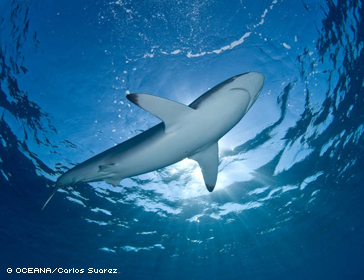 As a result of Oceana’s efforts, this summer Chile passed a national ban on shark finning. And most recently, Mexico and the Marshall Islands have announced plans for new shark protections.